‍The globalization of the world and the penetration of the millennials to the labor market are revolutionizing the banking, investment and insurance industry. 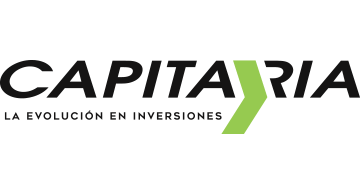 It is under this context that Capitaria will lead the change in Latin America, providing a wide range of financial services, focusing in our expertise in the investment industry but without sacrificing to provide access to other services associated with the financial world through alliances or partnerships with other companies in the same industry. Simple access without barriers to entry or exit, global products through an intuitive mobile application is our challenge for the coming years.